The National Association of Asian American Professionals is hosting a couple of events this next week worth highlighting to anyone interested in networking and leadership development. As Professional Development and Programming Chair of the NAAAP-MN board, I'm pleased to invite you to attend one or both of the upcoming events, further detailed below! NAAAP-MN's mission is to promote the career advancement of Asian American professionals in all fields through networking, leadership development, supporting cultural awareness/diversity, and community service. President and new board members of NAAAP-MN. This event is FREE and open to the Public, thanks to the Schwan's Food Company. Join the NAAAP-MN Board at the annual Open House for a special opportunity to network, meet board members, presentation by Schwan's VP of HR, participate in breakout sessions to understand the value and purpose of NAAAP-MN! Also, meet the New President, Vice President and new board members of NAAAP-MN. Enjoy a FREE brunch from Panera Bread. Please bring your business cards for the Speed Networking session as well for door prizes! Parking is available in a ramp on the corner of 2nd Ave and 4th St; there is also metered parking on 2nd and 4th, and a paid parking lot next to the Sawatdee on 4th. This event is FREE and Open to the public, thanks to The Schwan Food Company. Please RSVP to Diane, dtran@naaap-mn.org, by Friday, March 26th. NAAAP National is offering FREE Leadership Webinars for NAAAP members. The next Leadership Webinar will take place on Tuesday, March 30 at 8:00 PM CDT and features Dr. Vu Pham, one of NAAAP's Senior Advisors. Dr. Pham will discuss survey results of a study of Generation Y's self image and how other generations perceive them. Dr. Pham will discuss survey results of a study of Generation Y's self image and how other generations perceive them. "Gen Y lacks willingness to pay their dues." "Young professionals in this millennia work better in teams." Whether you are a Gen Y person or older person working with one, you'll want to know how Gen Y views itself in comparison to how others generations view them. -Gen Y lacks willingness to pay their dues. -Today?s young employees expect frequent rewards. -They?re digital natives and can wield technology best. -Young professionals in this millennia work better in teams. As a Partner of Spectrum Knowledge, Inc., Vu H. Pham, Ph.D. works with dozens of organizations from the Fortune 500 to governmental and non-profit agencies to boost employee performance and strategic effectiveness. Dr. Pham conducts interactive training and data-driven research and is a prolific publisher and popular keynote speaker. He currently conducts research at the Center for Research on Employment and the Workforce (CREW) at California State University?Fullerton, and for the Asian American Studies Center at the University of California, Los Angeles. 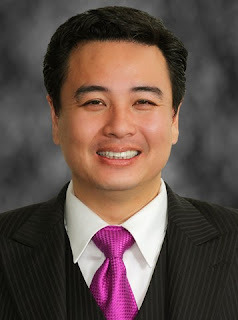 Dr. Pham is also a Senior Advisor to NAAAP. His work has been featured on national and international multimedia venues, such as CNN, MSNBC, the Associated Press, Voice of America, The Los Angeles Times, KSCI International Television, Strategic Innovators, Asia in Play, Asian Week, Radio Free Asia and The Orange County Register. Citizens League Action Groups Kick-Off 2010-2011! Volunteer to Party with MINN!